It’s the run up to the festive season – but who wants to wait until Christmas to play the latest and greatest games on Xbox One?! Certainly not us, and most likely not you, so sit back, relax, and take in our picks for the most exciting games releasing on Xbox One throughout November 2018. We already have the legendary Crash Bandicoot ready to boot up and play on Xbox One, but gamers were also crying out for the lovable dragon Spyro to make an appearance. And this he did! 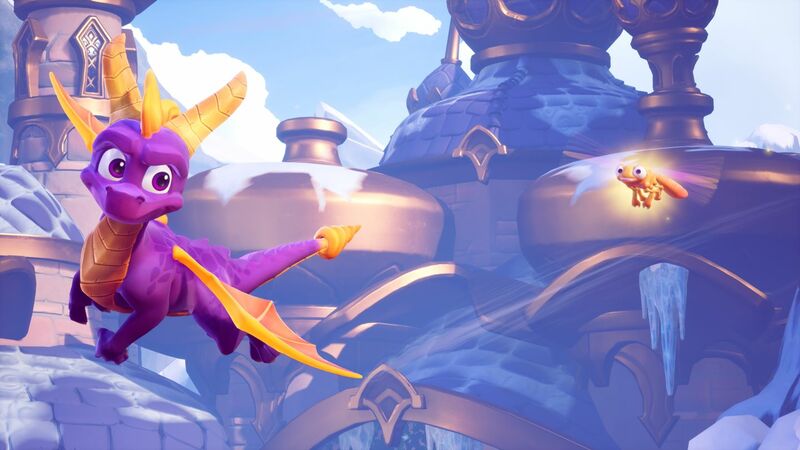 The Spyro Reignited Trilogy will hopefully reignite our love for what are some of the best 3D platformers around, giving us the original Spyro the Dragon, Spyro 2: Ripto’s Rage! and Spyro: Year of the Dragon to enjoy all over again in shiny new HD goodness. If for some reason you aren’t clued up on what Spyro gets up to on his colourful adventures, the purple dragon can be found exploring multiple expansive realms, taking down enemies with his dragon-y abilities (think gliding and fire-breathing for example) and dishing out sick quips and heaps of attitude along the way! As memorable as the original Spyro the Dragon visuals of yesteryear were, they don’t really fit into the uber-polished graphics present on the powerful consoles we have today. Don’t fear however, as all three titles will play out with brand new visuals alike to what we got when the Crash Bandicoot N. Sane Trilogy released recently. The next logical step for the lucrative Battlefield series after Battlefield 1 was of course heading over to World War 2, and Battlefield V does just this, giving us gamers the opportunity to experience WW2 with the latest innovations in first-person shooting. Whether you will be playing the standard multiplayer offering, solo-based War Stories or the newly introduced battle royale mode (it seems to be the standard at the moment!) then you can be sure that you will be engaging in wide-scale war battles that will have you gripped from start to end. The focus on class-based play has been upped for BFV, and each of the four classes that are playable at launch will have a number of tools and weapons that can be customised to your heart’s content. If you fancy staying back and offering support you can do so with the longer-range weapons, or if rushing objectives is your kind of thing SMG-type guns will be your go-to in terms of weaponry. Of course an array of authentic vehicles and maps spreading across the world are mainstay Battlefield features. 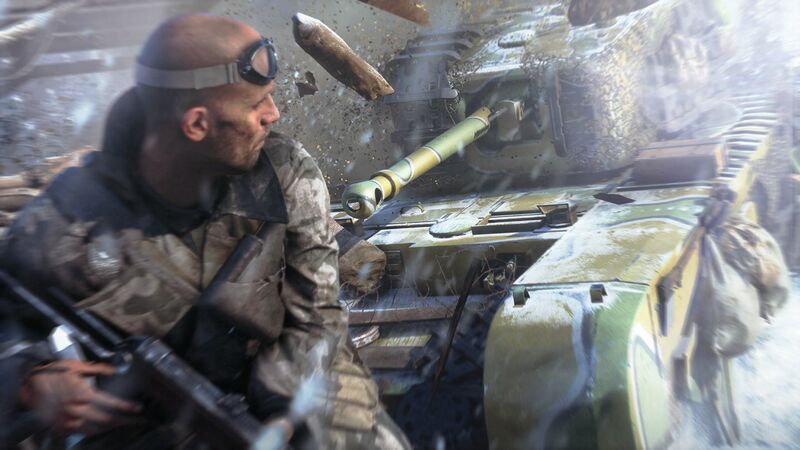 Away from the chaos of the main multiplayer mode and you can expect to enjoy Battlefield’s answer to the hugely popular battle royale, whilst solo War Stories offer up bite-sized story-based affairs from different perspectives of World War 2. Battlefield V is shaping up to be yet another robust shooter with tons of hours of content to get into… it just needs to tear us away from Call of Duty and Red Dead 2! To go alongside the recently released LEGO DC Super-Villains, TT are bringing back a fan favourite this November in the form of Harry Potter’s miniature figurine adventures. The LEGO Harry Potter Collection is soon to be here, giving us the chance to once again experience Harry’s story in charming LEGO form. Spanning across the entire 7-book/8-film franchise, the LEGO Harry Potter Collection will allow you to control numerous major and minor characters from HP lore, as well as engage in spell-making, intense duals and puzzle-solving to progress through the story or just mess about within the confines of Hogwarts. Of course with any re-worked title brought onto the current generation, the HP Collection will come packed with improved-goodness, from better environments to enhanced graphics. Throwing in 2 DLC packs for free just sweetens the deal. 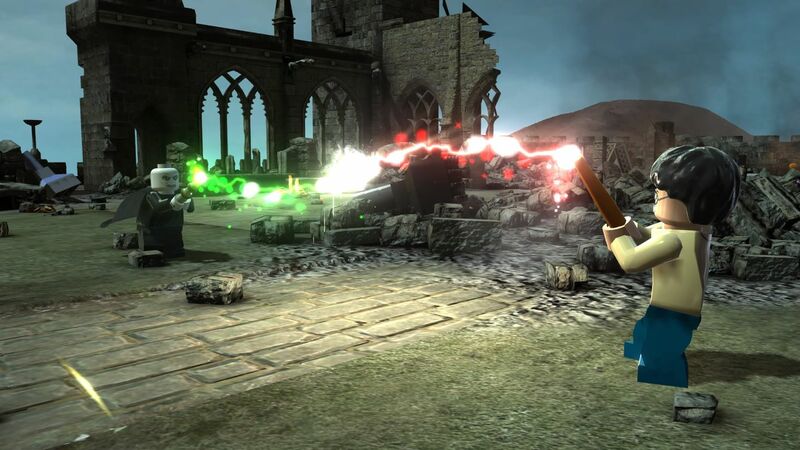 The LEGO Harry Potter Collection is a beautiful celebration of everything good about Harry Potter combined with the well-known humour and charm of the LEGO line of games, and it can be played with a friend to double the LEGO-based fun! With all the uber-realistic racers out there on Xbox One, there is still some love shown towards Rollcage-esque titles that bring the highest-speeds and most exhilarating of racing. And GRIP is one such game that is hoping to ‘grip’ you (sorry) from the moment the lights go green. From the moment you boot up GRIP: Combat Racing you can see that it ain’t no Forza, and prefers to go all out with its high-octane racing action. In these futuristic sci-fi surroundings, a quick burst of the accelerator will see your streamlined vehicle shoot off at near light-speed levels, all in a mad bid to make it first across the finish line. But it isn’t just the accelerometer that needs to be managed, and picking up various power-ups across each track will see you gifted with the ability to either buff your own vehicle, or damage an opponent’s. 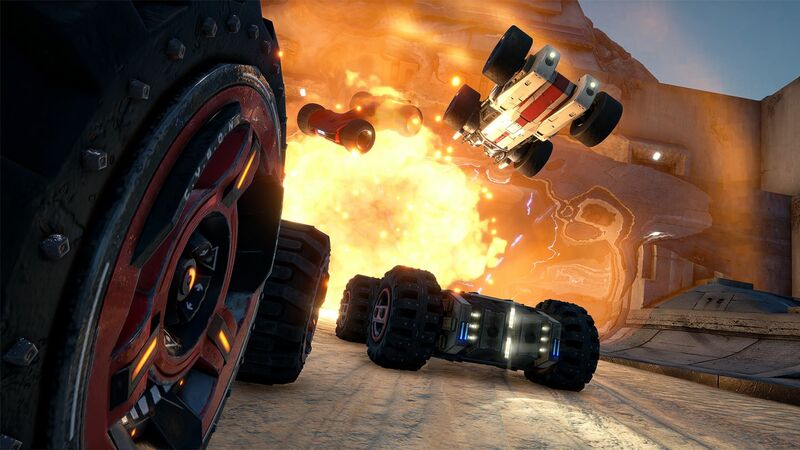 It may initially seem like GRIP is purely a crazy dash to the finish line, but implementing a bit of tactical play in with your racing wouldn’t go amiss in any of the modes you decide to play. As with many racers the best experiences are ones with friends, and luckily GRIP caters for up to 4 local split-screen players and up to 10 online players in a full lobby – as well as online leaderboards acting as proof to the winning of bragging rights among your mates. Is GRIP ‘the fastest game on four wheels’? Probably! And we are so excited about it, it grabbed a place on the list of our favourite games from EGX 2018. Agent 47 has really returned to peak form as of late. With the release of the excellent HITMAN and the freeness of Blood Money on Xbox as a Games With Gold title, there really is no better time for everyone’s favourite bald-headed assassin to get back out onto the field in some new adventures. HITMAN 2 lets him do so. Set across a new set of 6 stunning global environments, 47 continues his hunt for the elusive Shadow Client, and in doing so he must take down a number of high value targets in each map. The way you go about doing this, in true Hitman fashion, is completely down to you – usually carefully planning your moves and setting things up works best, but going in guns blazing is still a viable option. Making the most of interactable environmental objects, disguises and a plethora of melee and ranged weapons will be essential if you want to get in, complete the hit, and get out in one piece. In addition to the standard hits on Agent 47’s list, each map will offer up new opportunities to get his hands dirty in the form of elusive targets and further live events that will take place throughout the year. The former of which can only be attempted once so planning is even more integral to success. The latter? Well, I guess we shall wait to see what IO Interactive have in store for us! The brand new Sniper Assassin game-mode is yet another way of satisfying your assassination-based cravings, where you and a friend don your sniping gear and work together to scope out an area and eliminate a target. This puts a unique spin on the gameplay, as you will find yourself away from the action and more importantly with a friend in this largely solo experience. 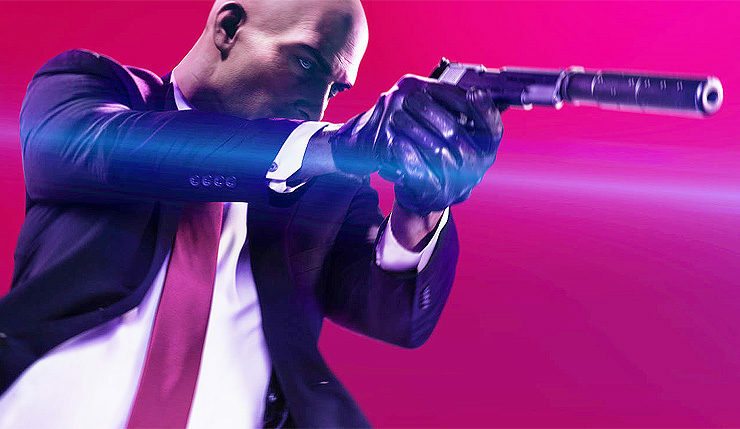 If you happened to get into the latest HITMAN adventure, then HITMAN 2 is more of the same – more areas to explore, more free-reign, and more killing! Those West Virginia country roads are calling… calling out for you to play the very first online Fallout title! Yes, it may only seem like yesterday that the Fallout prequel, Fallout 76, was introduced to the adoring crowds. But it is very nearly upon us, offering up the opportunity to get immersed into another Fallout story, and this time allowing us to bring friends along for the ride! 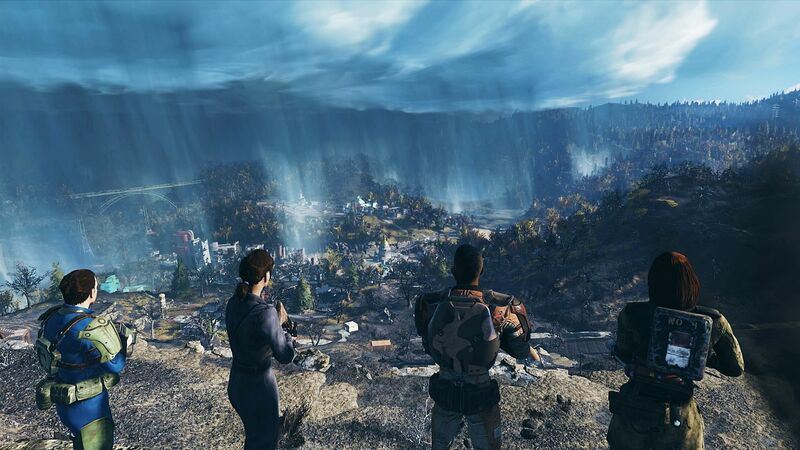 With the never-ending threat of nuclear annihilation seemingly around every corner, it is up to your character to make the most of the time you could have left, adventuring through the West Virginia wasteland, finding new weapons and gear to use and completing quest upon quest in order to constantly better yourself and your stats. For when it is time to stumble across another player you best be well equipped, or you could be ripped to shreds by the enemy. Or, of course, you may choose to buddy up (I think that’s the safer option), and take on the world together. Like they say, two minds are better than one, and this usually extends to weapons also. Struggling with a particularly difficult mutated creature? Calling upon the help of a few friends could see that enemy on their way! One way to improve yourself in the world of Fallout 76 is through Perks Cards, which are obtained and upgraded throughout the course of the game, and gift you buffs and extras that make the ride a bit smoother. Similar to Fallout 4, base-building will act as a nice little break from the questing, so gathering resources out in the game world to throw into your creations might be necessary. I could go on for ages about the extensive content found within Fallout 76, but you know the deal… it’s Fallout with friends! We have had the chance to step into the boots of War and Death with the first two Darksiders titles, but now it’s time for the new Horseman on the block – or should I say Horsewoman? On this supernatural interpretation of Earth, deadly apparitions of the Seven Deadly Sins are plaguing the lands, so it is up to Fury to prove that she is the ultimate Horseman of the Apocalypse, and restore at least an ounce of order and balance to the planet. And in good ol’ Darksiders fashion she will be doing this by hacking ‘n’ slashing her way to victory, in satisfying, combo-based combat. For Fury most kinds of melee weapons will suffice for her needs, so expect to be using a variety of whips, daggers, swords and the like when disposing of her enemies. However, when using her magical mage abilities Fury can turn into different elemental forms known as ‘Hollows’, boosting her combat skills by granting her new abilities in both combat and traversal. And traversal in this expansive open world will need to be done well if you wish to get around effectively. Solving puzzles and opening up new areas as the game proceeds will be quite the regular, as will tackling different platforming terrains and layouts. Furthermore, crafting and purchasing items in order to keep Fury fighting at her best also seems to be high on the agenda – similarly to her brother War, harvesting souls from fallen foes will contribute to this. 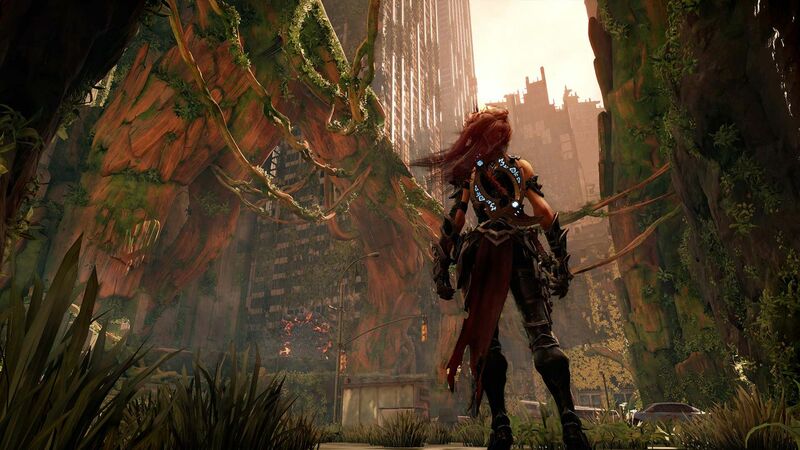 If you want to go head on into a brand new hack ‘n’ slashing adventure then look no further than Darksiders III. Good training for DMC 5, perhaps? So there we have it, 7 of the most exciting games that will be coming to Xbox One in November 2018. Have we missed your favourite out? Which games will you be buying? That comments section down below is just begging for your thoughts.